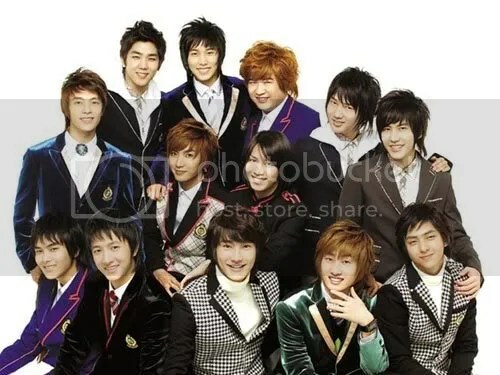 A show documenting Super Junior right from when they debuted, demonstrating their unique talents and abilities along with their funniness and quirkiness that is never ending. 15subs forum is closed now, how can I get episode 17 & 19? The subbing team, 15Subs has moved to a new forum, SJ-Empire. You’ll need to register to be a member of the forum and make 25 relevant posts on their forum before you’ll be able to access their download section to download episode 17 & 19 to watch. do they still have episode 17&19 there? if so, how do i download it? Hello! ^^ The subbing team, 15Subs has moved to a new forum, SJ-Empire (http://sj-empire.com/). But, I’m not sure if they provide the download links in their new forum anymore. thank you so much 😀 saranghamnida!!! Yeah, I agree that it’s sad that the show isn’t completely subbed since episodes 20-21 are missing 😦 I don’t think anyone has subbed those eps and since this is a really old show, those eps probably won’t get subbed. do you have we got married heechul&puff couple?